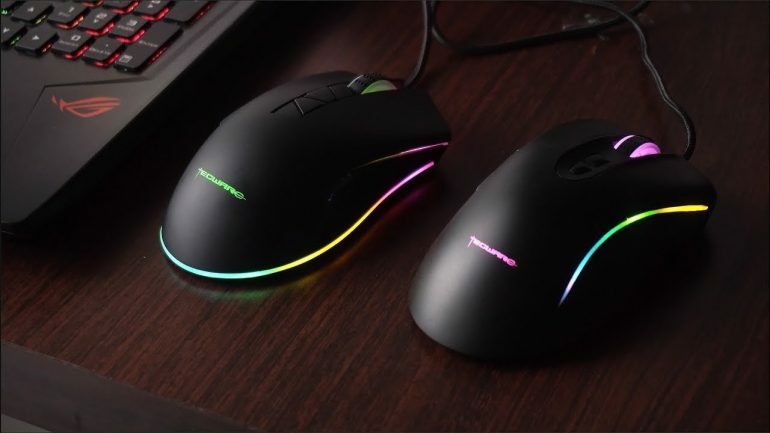 SINGAPORE – September 20th, 2018 – TECWARE, a global PC gaming peripherals and components provider, has launched three new gaming mice – Torque Pro, Vector Pro, and Impulse Pro. This new line of professional gaming mice is designed with every gamer’s unique needs and preferences in mind. Torque Pro offers an aggressive design for gamers, Vector Pro offers a flexible design with 2 different sets of Modular Side Grips, and Impulse Pro features an ambidextrous design for left-handed gamers. Aesthetically, the mice integrate customizable 16.8 million color lighting across two zones and come with 11 different pre-set RGB LED effects. Equipped with PixArt PMW3360 optical sensors which offer up to 12,000 DPI resolution, 250 inches-per-second (IPS) tracking and 50G acceleration, these top-notch gaming mice allow gamers to respond faster and with greater accuracy and consistency at the highest levels of competitive gaming. Additionally, all three mice feature fully programmable buttons and HUANO 20-million click lifespan mechanical switches – allowing optimal performance and consistency. Available in early October 2018, through authorized local dealers and distributors in select markets worldwide. TECWARE specializes in developing top-quality PC Gaming Peripherals & DIY PC Components. Founded in 2014, TECWARE has strived to develop better solutions in the ever-changing PC desktop and gaming market while attaining balance between form and function.